Katie Bush is an artist and educator born and raised in Atlanta, GA, now living in San Diego, CA. 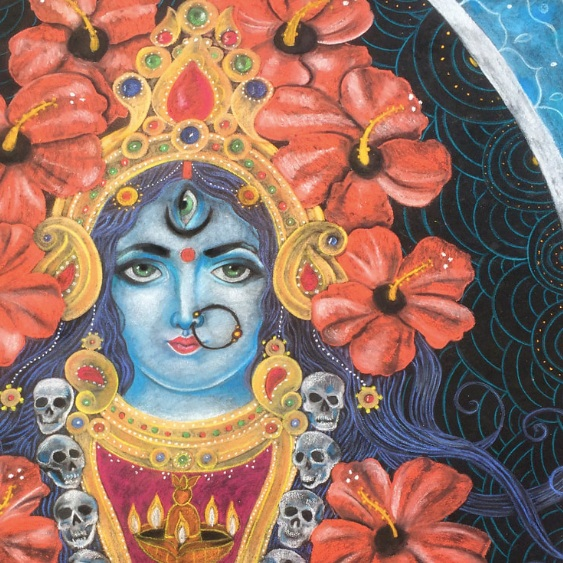 In 2006, while a senior at Whitefield Academy, she won 1st place for a school wide chalk art competition. After high school, she continued to pursue art and received her BFA and MAEd in Art Education. In 2013, she helped organize the Marietta Chalk Festival. After seeing the chalk artists perform during the event, she volunteered to do street painting at the Atlanta Mini Maker Faire and hasn’t stopped chalking since. 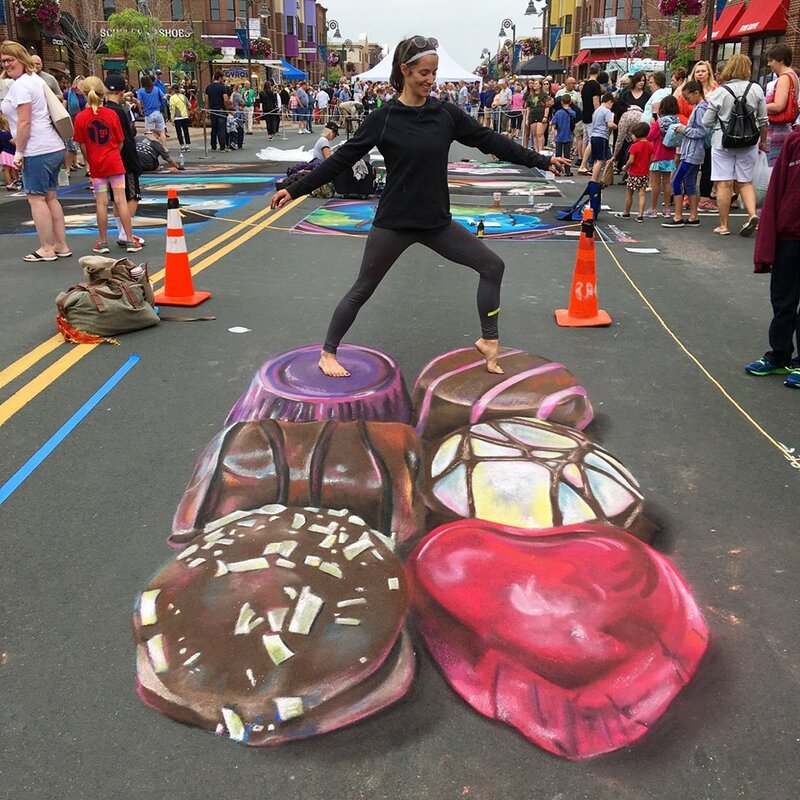 She has since performed multiple times at the Sarasota International Street Painting Festival and the Lake Worth Street Painting Festival, two of the largest events in the United States. 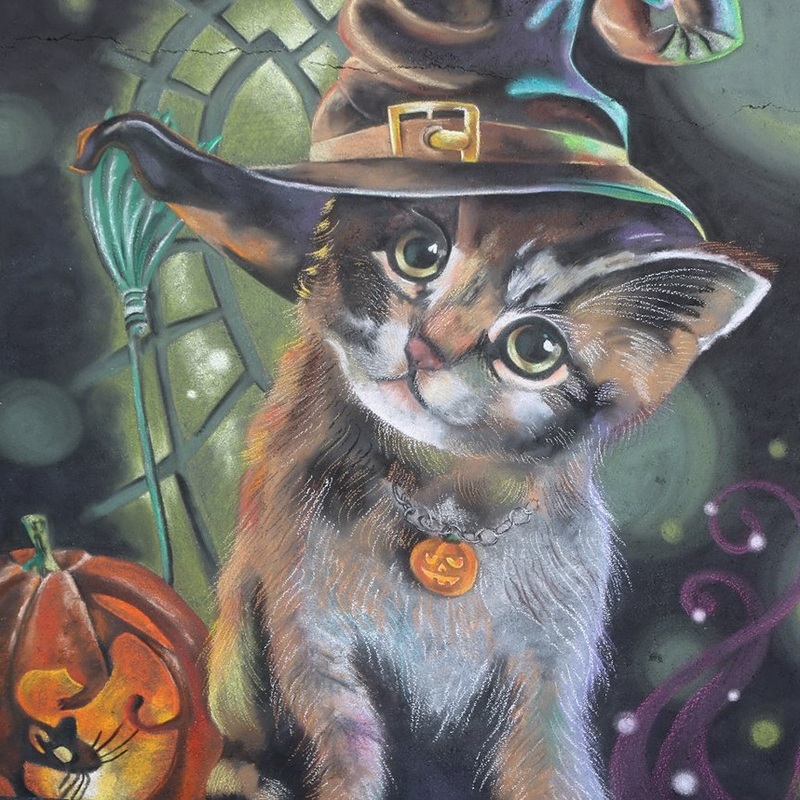 In 2014, she won her first chalk art award at the Safety Harbor Bloom N Chalk Festival. In 2014, she also started the Georgia Chalk Artists Guild with Jessi Queen and Zach Herndon. The organization has since grown to over 20 members and partners with Georgia festivals to bring chalk art to various corners of the state. Katie owns two businesses, San Diego Chalk Artist and Atlanta Chalk Artist, where she can be hired for festivals, weddings, murals, and signs.